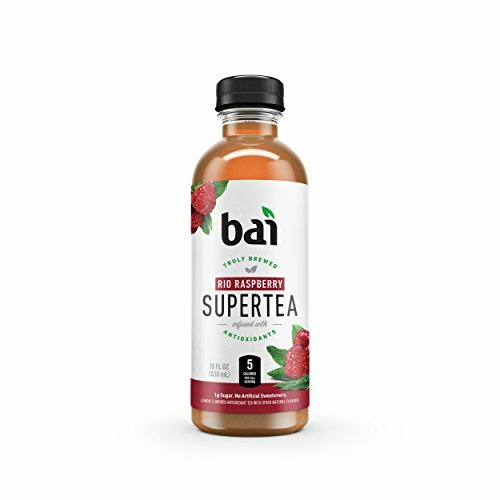 SUPER TASTY SUPERFRUIT: A bright blend of fruit flavors takes this tea to a whole new level of refreshment and thirst-quenching enjoyment. Pleasingly tart by itself or add a bit of sugar for a different taste treat. A delicious hot drink or iced tea. Lipton Purple Acai Blueberry Green tea bags contain a unique blend of the exotic flavors of acai and blueberry, balanced with the naturally light and refreshing taste of Green tea leaves. Blended with freshly picked young tea leaves and natural flavors. Feel awakened and enjoy a moment of feel good in the afternoon. Get the best from your brew in 2 minutes, adding the tea bag first then water so the leaves can unleash their flavor. 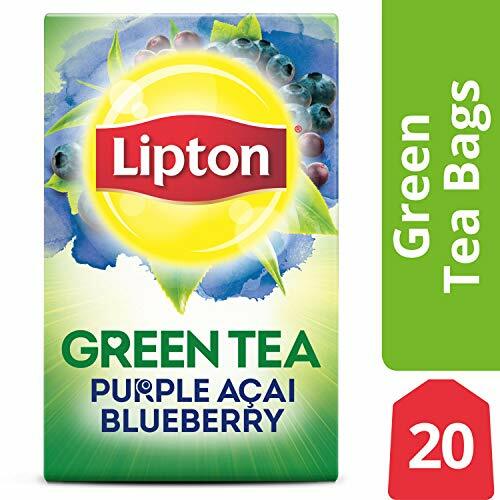 Lipton Purple Acai Blueberry Green tea with only 100% Rainforest Alliance certified tea bags. 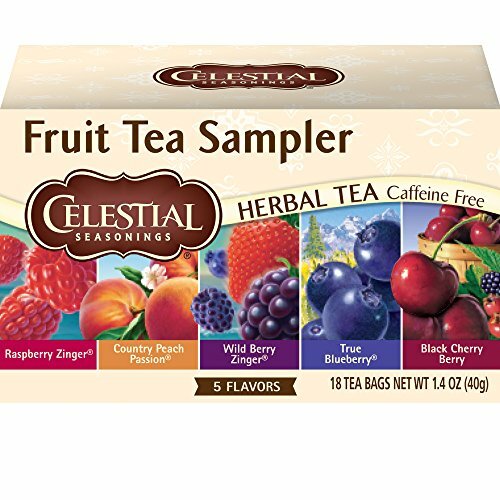 Delicious flavored/scented/blended decaf black tea! 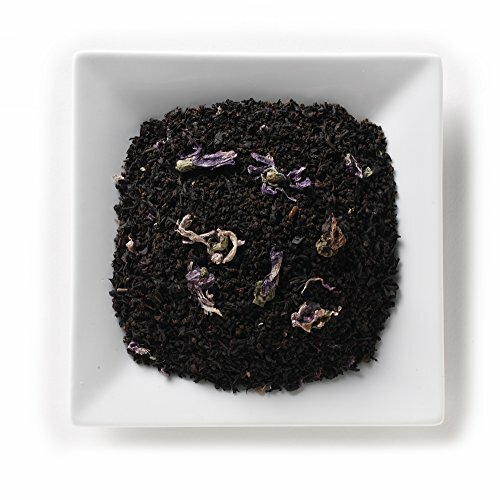 Decaf black tea with blue mallow blossoms and blueberry flavor. Perfect any time of day, breakfast, noon, afternoon, or night! Decaffeinated; packaged in heat-sealed re-sealable tea pouch to retain freshness. Mahamosa Goji Berry-Blueberry Pomegranate Tea- Delicious fruity green tea! Loose green tea, goji berries, lemon grass, pomegranate seeds, flavoring, cornflower blossoms. Good in afternoon or early evening. Moderate to light caffeine. 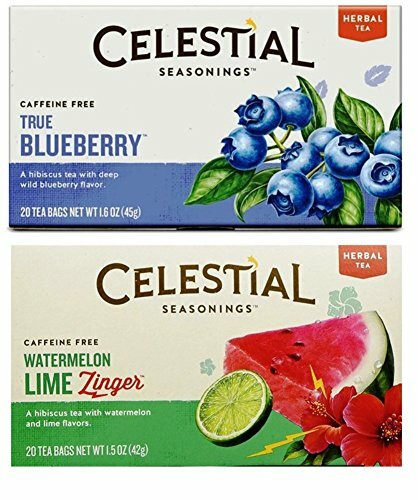 Great fruity green tea, both iced and hot! 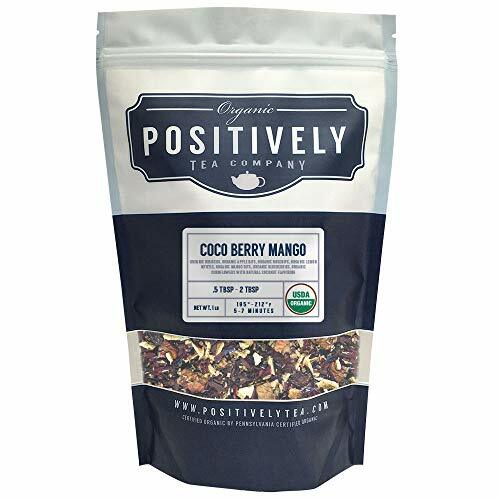 New Addition to the Organic Positively Tea Family! Enjoy the Sweetness of Coconut, Tart Mango, and Fruity Blueberry. Exceptional Tea, Hot or Iced. Brews a Deep Purple Color. 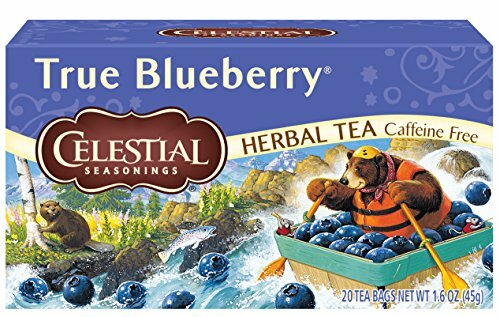 100% Organic Herbal Tea, Loose Leaf, 1 lb bag. 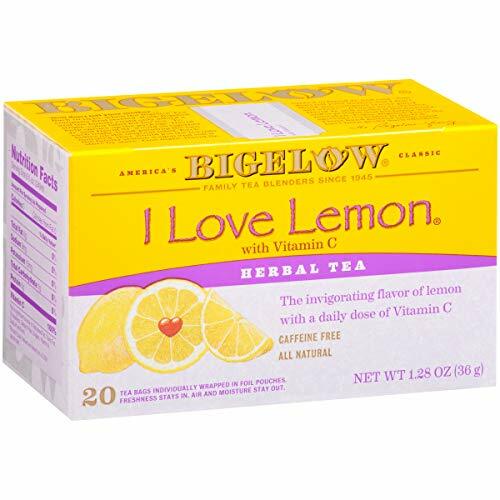 CITRUS DELIGHT: I Love Lemon Herbal Tea is an all-natural lemony tea. 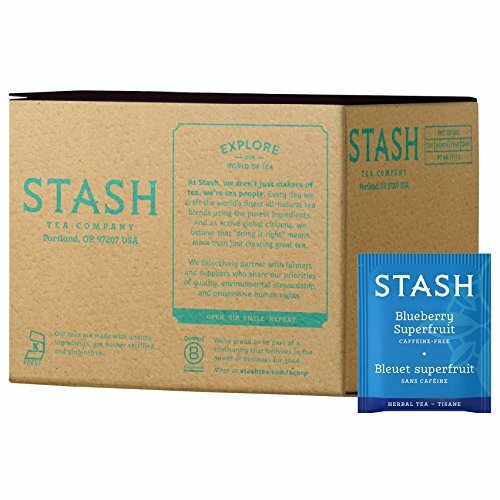 It's naturally caffeine free and the added hibiscus gives it a fruity tart aroma & flavor you can enjoy anytime. 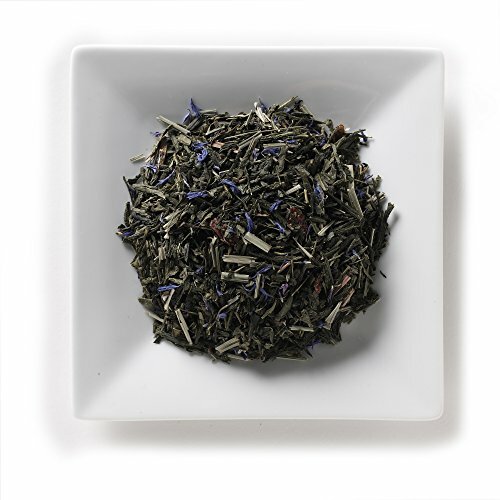 Try this delicious herbal tisane as a hot tea or iced tea. 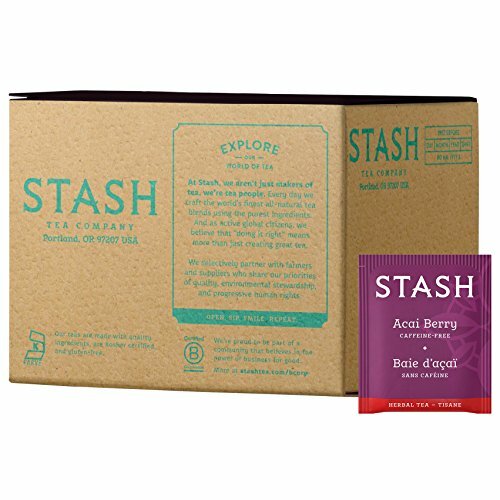 DRINK PINK: This fruity herbal tea blend combines tart hibiscus with natural acai berry, blackberry, and blackcurrant flavors for a tartly refreshing tea that's delicious hot or iced. Enjoy this drink plain, with milk, or sweetened with honey or sugar. 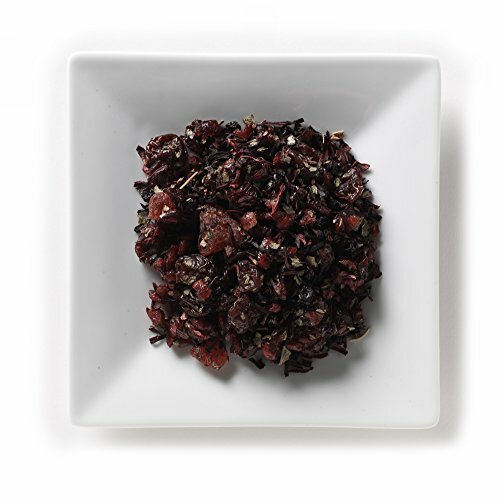 Mahamosa Hibiscus Berry Organic- Delicious hibiscus flower-based herbal tea! 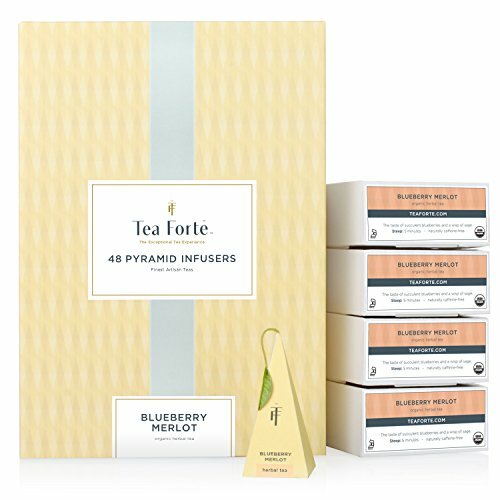 Loose leaf organic rose hips, organic FTC hibiscus, organic wild schizandra berries, organic currants, natural blueberry flavor and natural essential oils of orange and mango. 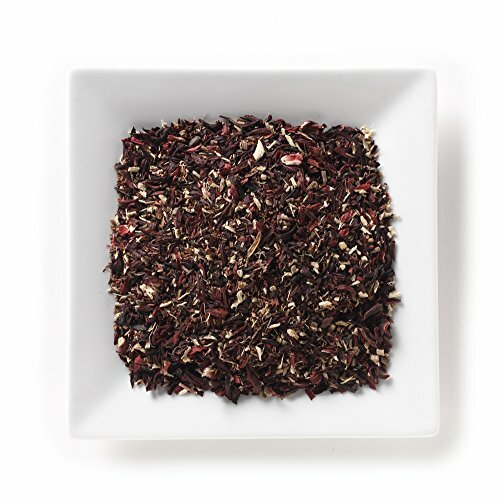 Mahamosa Berry Bunch Tea- Delicious hibiscus and berry-based fruity herbal tea! Cranberries, hibiscus, blueberry, cherries, strawberries, and black currants with raspberry and strawberry flavor. Perfect any time of day, breakfast, noon, afternoon, or night time! No caffeine. Makes a great iced tea for the summer! 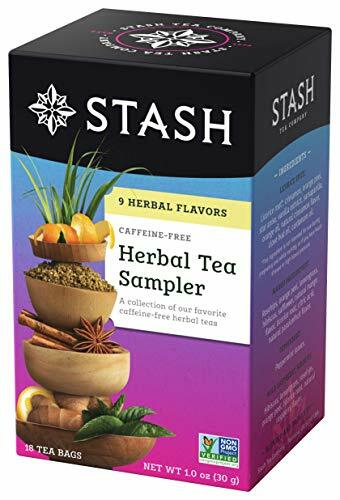 NINE-FLAVOR SAMPLER: Our 9-Flavor Herbal Tea Sampler Gift Set includes Acai Berry, Blueberry Superfruit, Chamomile, Cinnamon Apple Chamomile, Lemon Ginger, Licorice Spice, Mango Passionfruit, Peppermint, and Wild Raspberry Hibiscus.